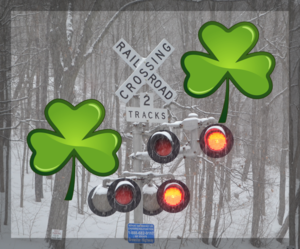 On Saturday March 16 through Sunday, March 17, for travel to/from the St. Patrick's Day Parade, to maintain orderly travel for customers, Metro-North will not permit alcoholic beverages on trains, platforms or at stations. Any alcoholic beverages found by MTA Police will be confiscated. Customers could experience crowded conditions due to heavy travel. On the Hudson Line, tickets will be collected prior to boarding at Poughkeepsie, New Hamburg and Beacon Stations due to high parade ridership. Please purchase your tickets before heading to the platform. Customers should buy round-trip tickets in advance using MTA eTix, or arrive at the station early to buy tickets. For train times, see our schedules page, or download TrainTime to your smartphone for quick access to our schedule. Hudson Line: Three additional inbound trains, departing Poughkeepsie at 7:37 AM, 8:37 AM and 9:15 AM, stopping at New Hamburg, Beacon, Peekskill, Croton-Harmon, Harlem-125th St., and arriving at Grand Central Terminal at 9:20 AM, 10:20 AM, and 11 AM. Harlem Line: Two additional inbound trains, the first departing Southeast at 8:47 AM, making all stops though White Plains, then Harlem-125th St., and arriving at GCT at 10:20 AM; and the second departing North White Plains at 9:47 AM and making all stops to Mount Vernon West, then Harlem-125th St., arriving at GCT at 10:37 AM. New Haven Line: Two additional inbound trains departing New Haven, the first at 8:40 AM and making all stops to Fairfield, then Westport, Harlem-125th St., and arriving at GCT at 10:31 AM; and the second departing Stamford at 9:50 AM, making all stops through Mount Vernon East, then Harlem-125th St., and arriving at GCT at 11:02 AM. Extra PM trains will operate as demand warrants for outbound travel. Remember, no matter how you purchase your ticket, you can always take advantage of the Family Fare, where each child pays $1 up to 4 children traveling with a fare-paying adult on weekend and non-peak trains. For the fifth child, the off-peak child fare applies on the weekends. See our fares page for more details. To see the schedule, go to our interactive schedule page, or download MTA TrainTime® to your phone for your schedule on the go!